Of course, these results are just for an online search. And based on what I know, that last result for Armstrong on the Moon cannot accurately represent its true popularity. It’s especially popular among the “Moon Hoax” conspiracy fans who believe it provides clues that the entire Moon landing program was faked in some secret studio on Earth. I addressed that misguided notion in my Feb 1, 2007 and Jul 23, 2012 posts. For a more-extensive point-by-point rebuttal, see this page by Jim Scotti of the Planetary Image Research Laboratory at Arizona State University. 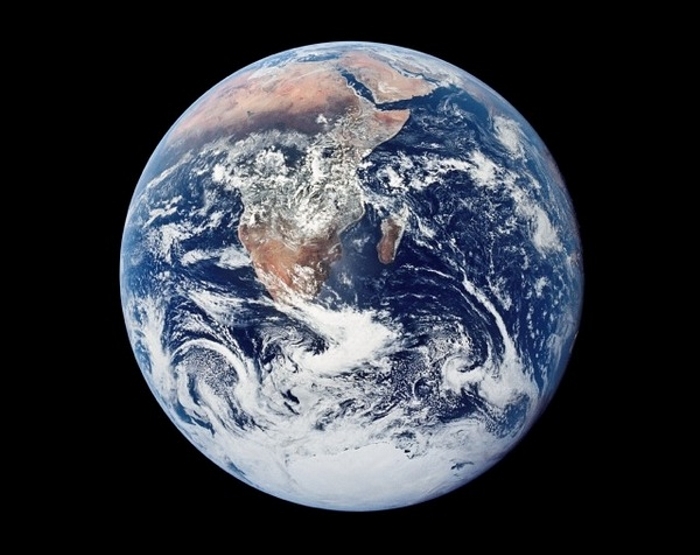 All three images made their way into advertising, T-shirts, postage stamps, posters, murals, and (most importantly) the popular perception of Earth’s place in the cosmos. 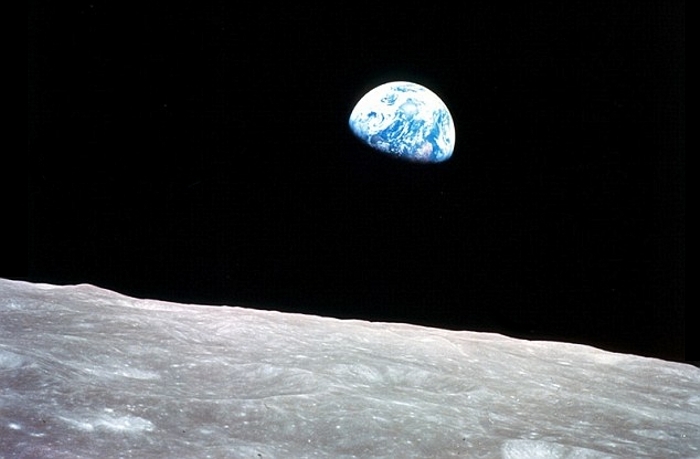 But in terms of “hit count” and “societal impact,” Earthrise is the clear winner. It contrasts the stark desolation of the Moon with the weather and colors visible on Earth, some 400,000 km (247,000 miles) distant across the empty vacuum of space. Little wonder this photo became the “poster child” of the then-fledgling environmental movement. Earthrise was photographed by the astronauts on Apollo 8, the first manned mission to the Moon, on Christmas Eve in 1968. Onboard were Commander Frank Borman, Command Module Pilot Jim Lovell, and Lunar Module Pilot William Anders. That same crew was also responsible for the middle photo, Blue Marble, from which Buckminster Fuller coined the term “Spaceship Earth.” It’s unclear which astronaut actually took these (top two) photos, since they all took turns using the camera and didn’t bother to record who shot what. 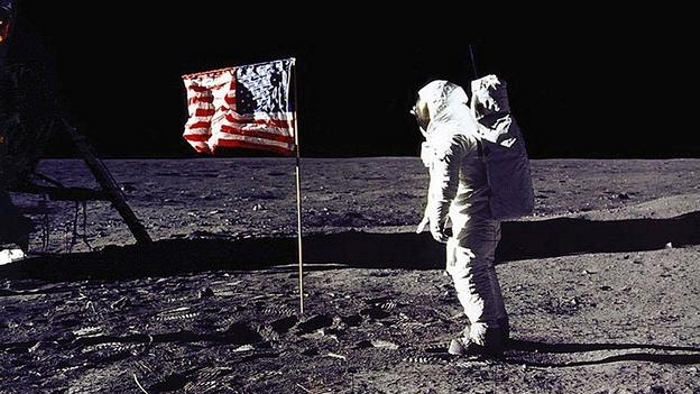 Obviously, the Armstrong photo was taken by Buzz Aldrin, the only other astronaut on the Moon at that time. I thought I knew everything there was to know about all these photos, until I received an email from Fr. Joe Fice, S.J., a colleague from my teaching days back in the 80s and 90s. Turns out the Earthrise photo was not planned. It seems nobody had anticipated that photo op, which was surprising to me. The crew of Apollo 8 didn’t even have color film in their camera, as they were expecting to just shoot photos of the (relatively colorless) lunar surface as they orbited the Moon at a height of about 110 km (60 miles). And in those days, B/W film provided more detail than color film.